Please don’t make the mistake of thinking that your magnesium levels are high enough. If there’s one mineral that can make the biggest difference in your health and well-being, it’s this one. Magnesium is responsible for over 300 biochemical processes in our bodies that we know about. From maintaining muscle and nerve function, to brain health, to building bones, to supporting the immune system. A magnesium deficiency can spell DISASTER for you if you’re not careful. You need to know the truth about getting your magnesium levels up, and this exclusive video is giving you all the inside info you need. Click play above and enjoy. Sleep better, feel better, live longer! A few years ago I had pain in my hands that went up both arms. just woke up one morning and it was there. It felt like hot irons going up both arms and my index fingers were stuck in the down position. After much research I read about magnesium and tried it. Within two weeks all of the pain was gone and my fingers were in motion. 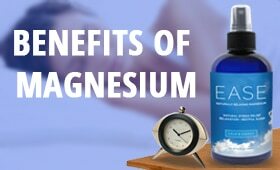 I continue to used magnesium after every bath or shower. I soak my feet in it after my power walks or a long day standing. It really did work for me. can’t you just get some water from the ocean in a bottle and spray that on your chest? Thanks for the info! I ordered some for my husband and I, and I also got some for my mother-in-law who has fibromyalgia and who is being treated with anti-depressants. I am eager to see what happens…. So Shawn, I thought that you said that the best magnesium supplement on the market was Natural Vitality’s, Natural Calm, after all this is what you endorsed,so now you are endorsing this new trans dermal stuff? I am really excited try this out. I suffer from Degenerative Disc disease and have had 2 neck surgeries. Shawn I am FLC student and have been wondering what your spine problem was and now I know. I would really like to find out exactly what you did to correct your problem. My 11 year old son suffers from severe anxiety. I would love to try this on him. How many sprays would I give him? Hi Sean, What is the A1C level supposed to be? Mine ranges over the past few times from 5.4 to 5.9, and my fasting blood glucose is almost always under 100. Hey Shawn, reading your book right now on sleep and interested in the topical magnesium but the link isn’t working for me on this page. Can you put the right link in the comments? Hey Shawn thanks for this. I heard you on Lewis Howes podcast and heard you talk about a spray, so I quickly came looking for this. Thank you. I’ll report back after I’ve used it. Very interesting – I’ve been taking magnesium for a while now but this particular transdermal magnesium is new to me. With oral magnesium I sometimes have trouble getting up to the dose I need without causing myself digestion issues. I’ll give Ease Magnesium a try – thanks for posting this! I was curious about how many sprays you use per day? How long does one bottle last you usually? Great question, AJ. I generally use about 30 sprays per day (4 or 5 sprays per area I’ll be massaging in). I actually haven’t kept track of how long the bottles last because they seem to last so long. If I were to guess I’d say about 2 months. I hope that helps! Hi there whats the best way for my Dad to treat cramping legs at night? 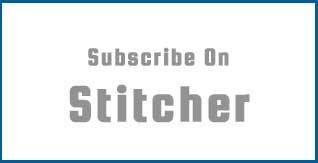 I have many questions about the plethora of information that has been professed on your podcast. Many scientific studies have been mentioned. Is there somewhere I can find the titles of these studies so that I can search them through my University? I am eager to hear back from you! Great talk AGAIN. 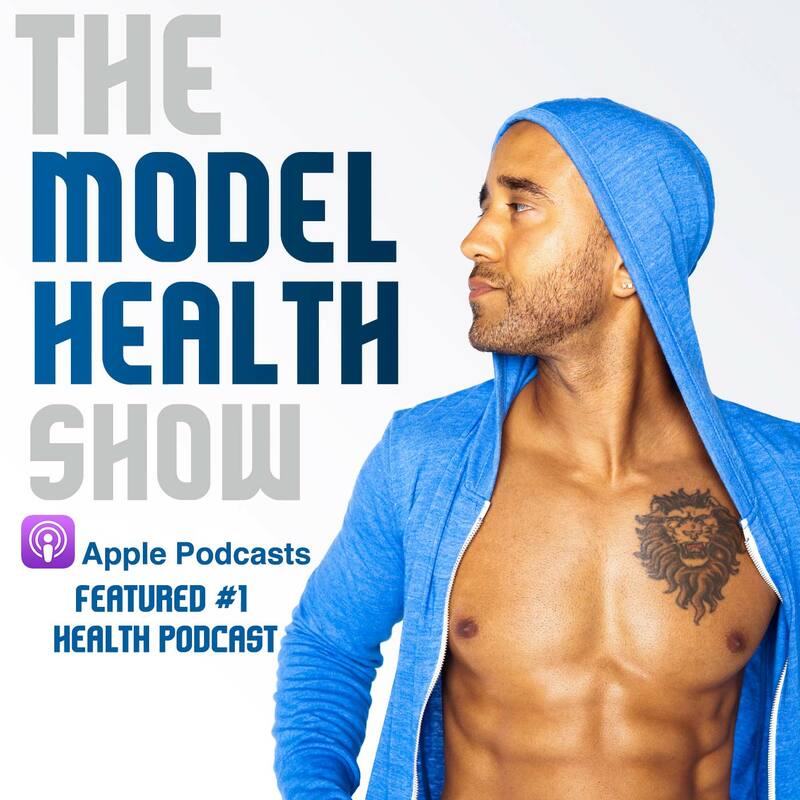 I myself got magnesium due to your advice before even listening to this awesome interview. One thing I was blown away by is that my menstrual cramps were 100% gone. Please understand, I used to take hydrocodone to deal with my cramps EVERY month. I don’t even need ibuprofen anymore. Thank you thank you for sharing this message. I just found your podcast and love it. I just finished listening to your podcast about sleep. I kept waiting to hear you speak about those of us who can’t establish a consistent routine. I am a restaurant manager and work different shifts every day: sometimes 7AM to 5 or 7PM, sometimes 12 or 1PM to 11:00 PM or 12:00AM. Any advice? My main goal is getting a solid 7 to 8 hours and am usually successful , just not at the same time every day. Is there a particular area of the body that you would suggest spraying and massaging for increased benefits? PS: I love the show from all that way in Australia. Hi Shawn! Do you have an oral magnesium supplement that you can recommend? A family member prefers that method and I want to make sure to get a reputable item. Thanks! I am looking for some advice. My sister is unable to breastfeed her 3 month year old baby. I am looking for the most natural baby milk formula, I have spent alot of time looking but can’t seem to find a product that’s clean from all toxic ingredients. I found a few on thrive market but they still have soy products and sunflower oil( which I know is not good). Can you advise me on a product? Ps.Absolutely love your work, you are changing my life one episode at a time!